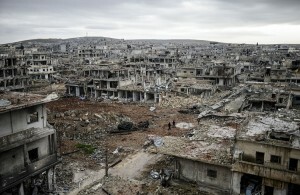 Is this an acceptable face of collateral damage? I receive regular email updates from an organisation named Team Around the Child (TAC). These often provide useful information about new publications or events related to children with special educational needs, or those living in difficult circumstances. The TAC newsletter and other resources are managed by a man named Peter Limbrick. I have never met Peter, but certainly feel some affinity to his ideas and the commitment that he has given to keeping the needs of children and families in focus for all who care to listen to what he has to say. Peter Limbrick is often referred to as an activist, working on behalf of children with disabilities and their families, and inevitably at times this places him in opposition, and even conflict with those authorities and policy makers who he perceives to be falling short of delivering effective support and services. Such campaigners are, in my opinion, essential if we are to avoid complacency with regards to the rights of children. I usually find something of interest in the TAC newsletter, and when one arrived in my inbox yesterday I was not disappointed by its contents. I have made a note to seek out the details of a new DVD about the use of intensive interaction from Dave Hewett, which may well provide a useful teaching resource, and I forwarded details of a forthcoming conference on autism spectrum disorders to be held in New Orleans to some of my colleagues. As a source of such information, this newsletter is always welcome and I have on several occasions accessed useful teaching materials from this much appreciated newsletter. 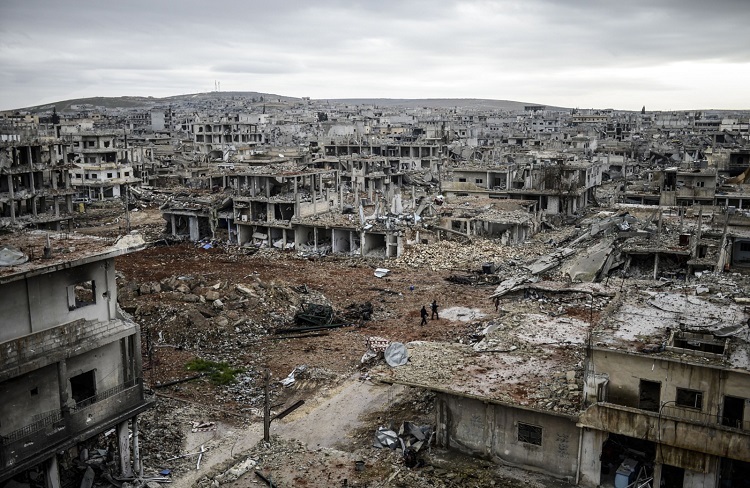 “The term ‘collateral damage’ is trotted out to make the death or damage of innocent people in conflict zones seem like an unfortunate inevitability. We are invited to think it is much the same as infirmity with old age and disturbed nights with a new baby. We don’t like it but we are persuaded it has to happen”. He continues the article by suggesting that whenever there is armed conflict it is invariably the most vulnerable and innocent members of society who suffer most. He provides a harrowing example of a five year old child killed in a bombing raid, despite the fact that she and her family had no direct part to play in the conflict that brought about her early death, other than that of being yet another victim. This is a chilling list, but sadly it is one that seems wholly appropriate at a time when I am sure children and families in many parts of the world are living in fear as their homes and communities find themselves in the front line of conflict. The debate about military action in Syria held in the UK Parliament last week was certainly to the forefront of my mind as I read Peter Limbrick’s words. Peter Limbrick’s item in the TAC newsletter is brief and stark. I am sure that it could provide a useful stimulus for further debate, I am equally sure that it will ruffle more than a few feathers. Being located amongst other articles that provide a positive perspective on how greater support can be afforded to children and families experiencing difficulties, I am struck by the juxtaposition of hope and despair on a page. Let us hope that the former overcomes the latter. Sport has often been a unifying factor in the lives of individuals. Through participation in sport people make lifelong friendships, and some sportsmen and women who may struggle academically can demonstrate their abilities and prowess in ways that may be impossible in the classroom. As someone who has always been involved in playing sport, whether on the rugby or cricket pitch or the squash court in my younger days, of now whilst sitting astride a bicycle, I have learned to value the opportunity to meet fellow team mates and competitors from all walks of life. Thus have my horizons been broadened through participation and friendship with a wide range of other people. In recent years, far greater attention has been given to participation in sport by those who have disabilities. Events such as the Paralympic Games and the London Marathon have enabled the general public to gain some appreciation of the dedication and competitive nature of many fine athletes who happen to be disabled. Here in UK names such as Tanni Grey-Thompson, David Weir and Jody Cundy became as familiar during the London Olympics in 2012 as those of many of the elite able bodied athletes. Such has become the level of professionalism associated with sports organisations for those with disabilities, that many of the finest competitors, such as the cyclist Sarah Storey, are now competing and winning against their able bodied peers. The dedication required of any athlete to reach the top of their chosen sport is undeniable. I recall several years ago driving home from work in torrential rain when I noticed coming towards me along the lane on which I was travelling a wheelchair user moving with considerable pace. My first instinct was to stop and check whether this was someone caught in the storm who might need assistance, but then at the last minute I recognised the individual in the chair. David Holding is a former wheelchair athlete probably best known for being a four-time winner of the London Marathon. He also won a gold medal at the Paralympic games as well as holding world records and winning many other events. On seeing David on the road I immediately recognised that he would have scorned any offers of assistance, as training in all weathers is exactly what all top athletes do, and why would he wish to be different from any other? David Holding and his many achievements came to mind yesterday as I read an article from Monday’s Independent newspaper under the headline “Wheelchair basketball: How ‘reverse integration’ is overcoming the discrimination surrounding disabilities” written by Lesley Evans Ogden. In this brief article the writer reports how wheelchair basketball, once seen as a sport played solely by sportsmen and women with disabilities has become increasingly popular with able bodied athletes. Evans Ogden suggests that the sport has changed many previous ill-conceived perceptions about both wheelchair users and the nature of sport. Here is competition played by athletes with a broad range of needs and abilities who play as equals in a game that requires immense skill and courage, but does not discriminate between individuals. Danielle Peers a former national wheelchair basketball player is quoted in the article as stating that this inclusive approach to sport could be perceived as a way to “do disability differently.” Peers, who does not have a disability recalls her own assumptions that as an able bodied athlete she would be able to compete alongside those who depended upon a wheelchair and soon excel at the sport. She now recognises that this was both arrogant and naïve and reports having been quickly taught a lesson about the competitiveness and skill of her new team mates. Progress has clearly been made in both encouraging more people with disabilities to become involved in sport, and affording them the respect they deserve as athletes. Marni Abbott-Peter, a four-time Paralympic medal winner in basketball for Canada who now coaches the British Columbia team in Canada, sees many advantages in having a more inclusive approach to her sport. “Once we started having more able-bodied involvement, it brought a lot more ‘sport people’ to the sport,” she says. This form of what has been termed “reverse integration,” in part aims to bring able bodied athletes closer to the world of those equally dedicated competitors who happen to have disabilities. I am sure that the understanding and appreciation gained by all who participate in such sporting activities is more focused upon the competition than it is upon disability. Dame Sarah Storey – an inspiration to anyone who rides a bike, and hopefully to those who have not yet made their first few wobbly metres on a cycle. Like many people in this country, and around the world, I have always had some interest in sport. Whilst in the past I was a keen player of rugby and cricket, today I only participate as an enthusiastic spectator. However, there is one sporting activity in which I am still involved and from which I derive much pleasure. Whether touring with tent and luggage through the varied countryside of Europe, wheeling through the lanes with club mates, or occasionally testing myself against the clock, cycling continues to be a passion and a means of gaining both exercise and relaxation from my day to day work. One of the great features of sport in recent years is that many of the people who manage events have been far more conscious of the need to improve access and make it more inclusive. The media coverage given to recent Paralympic Games, is just one example of this. Witness the huge crowds that attended the games in London and the fact that many disabled sportsmen and women have become “household names” in the UK at least. I have been pleased when visiting schools in the last few years to see pictures of Tanni Grey-Thompson, David Weir, Jonny Peacock, Ellie Simmonds and David Stone amongst others, displayed alongside those of well-known able bodied athletes. 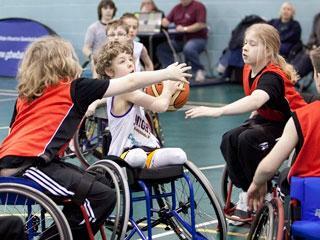 In many sports those sports people who have disabilities compete in separate events from others who are able bodied. 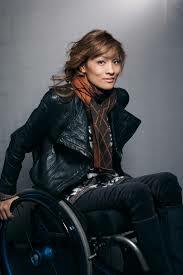 However, we are increasingly seeing some paralympians and others, making an impact on the general sports scene. It is good to see that the general public now recognise that disabled athletes train as hard as any, and that they are pushing the barriers of human capability just as much as those sporting stars who have been a feature of our television screens for the past fifty years. Two nights ago, along with Sara I was able to indulge my enthusiasm for cycling by attending an event in Peterborough, a city thirty miles from where we live. During the evening, we enjoyed watching two cycle races in which teams of professional riders hurtled at great speed around a city centre course, cheered on by a large and enthusiastic crowd. The two races, one for men and the other for women, provided an evening of excitement and entertainment during which a friendly and enthusiastic audience made plenty of noise to encourage the athletes and support their favourites. The men’s race was won by two times Olympic gold medal winner and five times World Champion Ed Clancy, who is always popular with spectators. In a tight race he sprinted to his victory in the home straight, winning by barely a bike’s length much to the delight of an excited crowd. The women’s race was equally spectacular, but less nail biting at the finish as the winner crossed the line some distance ahead of her rivals. Sarah Storey was again a popular winner and received a mighty cheer from all onlookers. 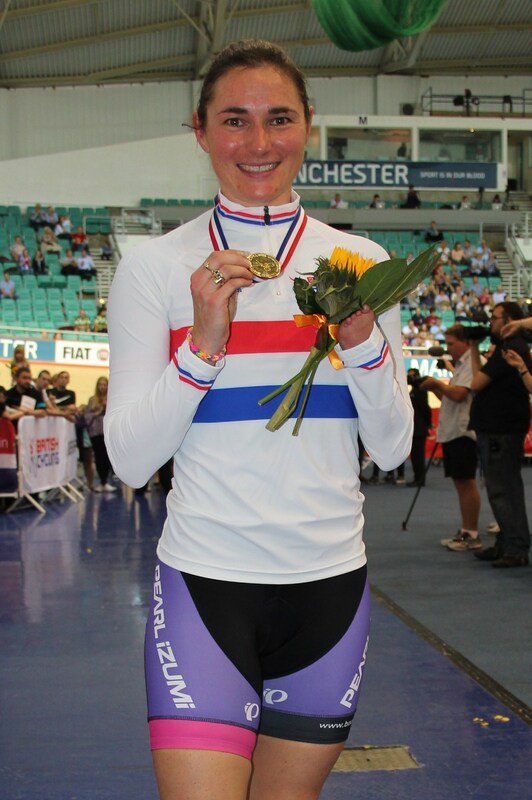 Sarah Storey also has an impressive record (in cycling circles these tend to be referred to as palmares) and is the holder of six Olympic gold cycling medals. However, one of the differences here between Sarah and Ed, is that she won hers in the Paralympic games. Before taking up cycling, she was an outstanding swimmer and gained similar medal successes in the Olympic Games in Barcelona and Atlanta. As she crossed the line on Tuesday, Sarah Storey left a number of other Olympians and champions in her wake. The popularity of her win on Tuesday evening had little to do with the fact that she is a Paralympian participating, and winning in “mainstream sport;” indeed, those of us who follow cycling are fairly confident that she will ride in the main Olympic Games in Rio de Janeiro. Cycle sport enthusiasts, and those who are good enough to compete against her have long recognised that Sarah Storey is simply a remarkable athlete and competitor. Not all disabled athletes will be able to compete as equals against their able bodied peers, and there remains a need to support events such as the Paralymic Games that address their needs. But elite competitors such as Sarah Storey have done much to raise the awareness of the general public of what can be achieved by any athlete who is willing to make personal sacrifices, and to work has hard as she has (and of course, has natural talent). Sport has gradually become more inclusive and can possibly lead the way in encouraging other facets of society to follow. I must be less lazy and get back out on my bike far more often! In recent years I have worked with a number of students from Pakistan. They have invariably been hard working and in many instances have expressed a strong commitment towards working in their home country to improve the lives of children and young people who have been excluded or marginalised. Whenever I have discussed the situation for children and young people with special needs or disabilities in Pakistan with these students, they have been able to tell me of some of the progress made for these individuals in schools, but have often expressed their frustrations that many remain excluded from even the most rudimentary educational opportunities. Sadly, much of the news reported from Pakistan in the English language media, paints a negative picture of a country divided by extreme politics, religious conflict and poverty. Reports of education from the area are often focused upon the limited educational provision for young people and international surveys depict a country in which it has become difficult to be optimistic for the future of today’s Pakistani children. However, this is only one part of the picture and it is important to recognise and celebrate some of the positive stories that indicate progress towards improving lives in what is often described as a “failed state”. Referring to his disability, Sher Ali suggests that it is no obstacle to being a good representative of his people, and he has urged others with disabilities to put themselves forward for election. Education and the provision of an improved water supply to his community are just two of the issues that he has singled out as priorities for his campaigning activity. He suggests that his election success was largely built upon the aspirations of young people who have a great desire for change in the communities in which they live. His personal determination is clearly already inspiring others and will hopefully raise awareness not only of his disability, but also of the need for improved educational opportunities for all people in Pakistan. I suspect that the election of Sher Ali and his enthusiasm for bringing about change in his community will not make the pages of newspapers outside of Pakistan. This is a great shame, because it has become far too easy to read only negative stories from this, and several other countries around the world. Whilst reading stories of conflict, poverty and extremism, whether these be from Pakistan, Syria, Iraq or elsewhere in the world, it is easy to forget the ordinary and extraordinary people who make up the majority population in these countries. Most people wish for nothing more than an opportunity to live a peaceful existence, to earn a living, gain an education and care for their families. Yet they are tarnished by the actions of those who wield power and create an impression that their countries are dysfunctional, dangerous and chaotic. So long as there are people who are prepared to recognise the abilities of individuals such as Sher Ali, and have the courage to elect them to positions of authority, there must be hopes that there can be improvements in society, and greater opportunities provided for those who are currently excluded. Let’s hope that Sher Ali’s story inspires others to see the positive side of a country that is far too often reported in only negative terms. I’m quite sure that over the years we have all said things that we have later come to regret. It does seem that sometimes words come out of our mouths before our brains have processed the stupidity of what we are saying. This most certainly appears to have been the case with Goa’s Chief Minister Laxmikant Parsekar at the ‘We Care Film Festival’ on disability issues held in Panaji, Goa this week. It could be argued that politicians who are in positions of public responsibility, and are therefore called upon to make speeches with some frequency, should be well versed in the art of diplomatic expression, but it is evident that on this occasion Mr Parsekar got things horribly wrong. He is certainly now paying the price, having been negatively featured in articles in the Times of India (January 21st) the Herald in Goa (22nd January) and the Hindustan Times (same date) to name but a few newspapers. It has long been understood that if you wish to avoid controversy in speech making, amongst the subjects you avoid are personal identities and religion. When I say long understood, I think this applies to the majority of us who are from time to time asked to speak in public, though the adage unfortunately appears to have eluded Mr Parsekar. Hopefully he is now much wiser after the event, but sadly the damage has been done. Understandably, the film festival organisers, the well-respected Disability Rights Association of Goa (DRAG) were swift to condemn the Chief Minister’s comments, and I am sure that they now regret having tendered to him an invitation to this event. I am quite certain that he will not be high on their invitation list in the future. The Chief Minister’s words were not only crass, but also showed a complete lack of understanding of the lives of disabled people and their families. Whether you are of any organised faith or none, the pre-scientific nonsense of his statement is similar to those latter day assumptions that disabled people were cursed, inflicted with a sign of punishment or possessed of demons that were common in the dark ages, and should have been confined to the history books many years ago. Mr Parsekar has clearly failed to recognise that disability is just one factor that contributes to human diversity, and as such should be respected in the same way that we should appreciate people from other historically marginalised groups. Having read reports of his speech, I am sure that Mr Parsekar will now be stating that he was misinterpreted in what he said, but he certainly miscalculated badly, and has understandably caused a level of offence that I suspect will have seriously damaged his political career. There is another aspect of this situation caused by Mr Parsekar’s ignorance and misinterpretation that I personally find similarly disturbing. Just as the Chief Minister’s behaviour should be viewed as unacceptable, I also found some of the responses to his words equally obnoxious. On the Times of India website, an opportunity provided for readers to comment on his speech has certainly attracted a great deal of vitriol. Like many of these commentators, I would wish to wholly condemn the statement made by Mr Parsekar, unlike some of them, I see no value in doing this in equally offensive language. I’m sure that many of the comments made in the heat of the moment were as poorly considered as the Chief Minister’s own words. Ironically, many of those who condemn him as being discriminatory towards people with disabilities choose to describe him in terms which if used in relation to those they believe they are defending, would cause both hurt and offence. “I am happy to find many right thinking people coming out strongly against this obnoxious remark. My request to all my countrymen to treat us as equals, we are human beings and have right to be treated so”. The person making this comment, whilst clearly deeply hurt by the Chief Minister’s comments, managed to frame his response by putting forward a series of reasoned remarks without recourse to abusive language. Reasoned debate around the lives of people with disabilities is important, but only if it directly involves these individuals in the discourse. Proponents in the debate need to moderate their language and ensure that they argue from a well-informed standpoint. It is certainly evident that in this sad affair, neither Mr Parsekar, nor some of those who have commented on his unacceptable words have chosen to take a path of moderation or sufficiently informed themselves to make a valid contribution. 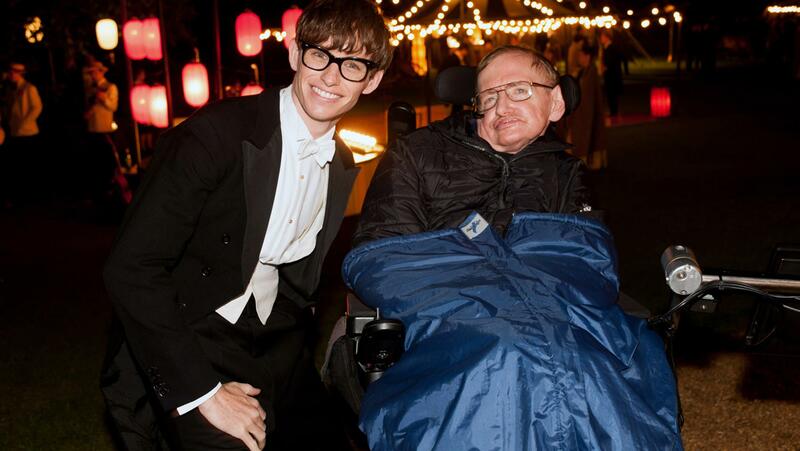 The actor Eddie Redmayne with the great mathematician Stephen Hawking who he so eloquently portrays on film. I sometimes think that I don’t go the cinema as often as I should. I have to admit that part of this is a rather personal curmudgeonly streak, which finds the perpetual rustling of sweet wrappers, and the sickly smell of popcorn rather irritating in most cinema environments. As a regular theatre goer, I have been somewhat spoiled by audiences that tend to be respectful and appreciative of the performers on stage, and possibly more aware of their fellow audience members. The current popularity of film in this country is an indication that I am probably alone in my exasperation, and I suspect that if I want to see the latest offerings on the silver screen, I will simply have to subdue my irritation and go along with the modern cinema experience. On Saturday evening Sara and I visited our local cinema to see a quite remarkable performance by the actor Eddie Redmayne as he depicted the life of Professor Stephen Hawking in the film The Theory of Everything. Playing opposite the actress Felicity Jones who was also impressive in the role of Hawking’s first wife Jane, Eddie Redmayne played the role of the eminent mathematician and scientist through his Cambridge University days, and his subsequent achievements, as he developed his theories around time and assumed his role as Lucasian Professor of Mathematics. Both the acting and the cinematography were a real tour de force. Understandably, the film was little concerned with the complex theories and mathematical principles that have characterised Professor Hawking’s work, but dealt in large with his physical deterioration as a result of motor neurone disease, and the impact that this had upon his family life and relationships. At times I found the film almost too painful to watch, as for example in a scene where Hawking tries desperately to scale a set of stairs, a task that clearly demands all of his physical strength and mental determination. But in general, the film is, in that rather clichéd expression, “life affirming” in telling the tale of a remarkable and determined man who overcomes enormous challenges to achieve great things. As is inevitably the case after watching such a powerful and moving piece of art, it takes some time to fully reflect on what has been seen. However, a number of details from the film reminded me of many of the initiatives that I witness on a regular basis from teachers in schools. The very physical nature of the acting of Eddie Redmayne and his immense skill in representing a man whose body changes significantly over the course of time was hugely impressive. But equally informative and represented in a subtle and unobtrusive manner in the film was the response of Felicity Jones in the role of his wife. The adjustments that she made to her attention and care of her husband, reminded me of the actions of so many teachers and parents with whom I have worked over the years. The commitment to an individual who is so highly dependent, and the selfless changes in life style made by a caring adult, designed to provide maximum support, was brilliantly depicted in this film, and true to so many situations that I have seen in other families. Equally moving was the respect which was shown to Stephen Hawking by those closest to him, including his academic colleagues. These people who know him well can see beyond his disability in order to appreciate his unique individuality, irreverent sense of humour and outstanding intellect. This contrasts strongly in the film with the attitudes of some members of the audience at a concert in Bordeaux attended by Hawking, who show their apparent distaste for his presence in the theatre. Their reactions, based solely upon ignorance and prejudice showed why many disabled people still find themselves uncomfortable in such a public forum. A further potential point of interest to teachers watching this film, relates to the efforts made to enable Stephen Hawking to communicate after he loses his voice. The empathetic approach adopted by a speech therapist, played by Maxine Peake, who initially introduces a simple communication board to her charge, will be familiar to many teachers. The eventual provision of a voice synthesiser shows the liberating effect of matching appropriate resources to the learner. This interface between the professionalism of the teacher, the respect for the individuality of the learner and the determination of that individual to overcome his own learning difficulties, gives an excellent portrayal of the power of a considered approach to teaching. I am sure that this film will encourage many who see it to reflect not only upon the devastating impact of a progressive disability, but also upon the importance of maintaining high expectations of individuals in this situation. I hope that it may also encourage more people to see how important it is to enable learners, who happen to have a disability, to take some control of their own lives whilst being offered support on their terms. Viewing this film was a wholly positive experience, so much so that I can even forgive the woman behind me who must have unwrapped a kilo of sweets during its showing! Let’s celebrate today, but not forget tomorrow. In the mind of the public today, but what about tomorrow, next week, or next month? It is always good to see the work of colleagues and students receiving affirmation and brought to the attention of the public. Today’s Metro Supplement from the Deccan herald carries an article reporting on the International Day of People with Disability and the work of teachers in Bangalore (http://www.deccanherald.com/content/445176/confident-strides.html). At the head of the article is a picture of children, and in their midst the smiling face of my colleague Jayashree with whom I am fortunate to work whenever I am in the city. The article celebrates the work of teachers, including those from the Brindavan Educational Trust where our MA programme is based, with a particular focus on the support they give to children with disabilities and special educational needs. The article celebrates the successes of young people and includes an example of a young man with Down’s syndrome, who following some initial difficulties in school now has a successful career working for a multi-national company. The importance of the support provided to children who experience difficulties with learning, by well qualified professionals such as Jayashree, is emphasised throughout the article, and a very positive outlook on issues of disability is given. Newspaper reports such as this can play an important role in bringing issues related to disability to public attention, and the support provided by journalists and others in the media is to be welcomed. However, I can’t help feeling that the very fact that we still perceive a need for an International Day of People with Disability tells us something about the long journey that still has to be travelled to achieve a more equitable society. I certainly do not wish to decry the tremendous efforts that are made by individuals and organisations, to bring the needs of children and others who have been marginalised, to the attention of the general public, many of whom remain ignorant of the challenges they have faced. The work undertaken by professionals and parents to raise awareness, has been critical in many of the advances made for children with special educational needs over the past century. I also believe that the media can play an important and responsible role in assisting moves towards achieving more inclusive communities. There have been many excellent campaigning journalists in recent years who have taken up cudgels against inequality and injustice. 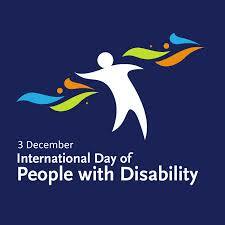 Once the International Day of People with Disability passes, the difficulties that these individuals face in their everyday lives don’t go away. It is certainly good to see the commitment of individuals celebrated on this particular day, but it should be recognised that the efforts that they make will also be in evidence for the three hundred and sixty four days that are not in the public eye. I may be accused of being curmudgeonly, and certainly run the risk of antagonising some of my colleagues who have devoted much of their time to the organisation of these one day events. But Just as women in England no longer feel the need to throw themselves under the hooves of the King’s horse in order to demand the vote, and Indian politicians no longer spend time in prisons in order to gain national independence, I hope that a day will come when the rights of individuals with disabilities are fully recognised and those who support them can take a break from the efforts they make to obtain social justice. Persons with disabilities are not viewed as “objects” of charity, medical treatment and social protection; rather as “subjects” with rights, who are capable of claiming those rights and making decisions for their lives based on their free and informed consent as well as being active members of society. How long, I wonder until this ambition is achieved? These able bodied pedestrians can make progress. But sadly, many others cannot. A few days ago I wrote about the challenges of being a wheelchair user, a parent with a pushchair, or a person with limited mobility on the streets of Bangalore (Reclaiming the Streets, November 26th). I recalled my feelings of horror when watching a lady pushing an elderly gentleman along the centre of the road amongst typical traffic chaos, having clearly decided that this was her only option. The pavements of Bangalore, where they exist, are a minefield of obstacles, holes, hanging wires and piles of refuse, thus rendering them inaccessible to any but the most determined explorer. My brief article prompted an email from a friend in Chennai this morning, which gave me both hope for optimism and cause to question whether there is truly a will to address this situation. He reports that yesterday, members of the Disability Rights Alliance (DRA), who describe themselves as “a collective of independent, community based organisations, individuals and peer groups- all passionate about disability,” took to the streets and went from door to door to raise awareness about this very issue. 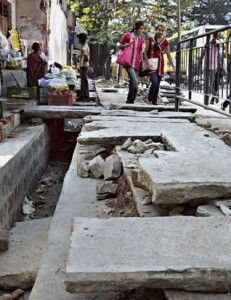 Apparently, the authorities in Chennai have taken some initiative in attempting to improve the access and mobility situation in the city, and have recently invested money to widen the pavements in certain areas of the city. There is a plan to extend this programme further in an effort to make the city more user friendly for everyone. The Disability Rights Alliance have conducted their own audit of these areas and confirm that this action has been taken, and a number of ramps to make life easier for wheelchair users and others with mobility difficulties have been installed. However, far from improving the situation for those for whom this initiative was intended, the difficulties they face have taken a new twist. The newly installed ramps have been seized upon by motorists as providing a far better means by which they can mount the pavements and park their cars or motorcycles. One of the campaigners provides an example from KB Dasan Road in the Teynampet district, where local restaurant owners and even a hospital have been encouraging drivers to use the newly accessible pavements for parking in order to visit their facilities. The members of the Disability Rights Alliance in calling from door to door to increase awareness of the legitimate reasons why the pavements have been improved, have apparently been receiving a mixed reception. Whilst some sympathise and recognise the problems of their disabled neighbours, others appear quite indifferent to their plight. Reporting this situation to me in his email this morning, my friend suggested that this is a battle that cannot be won. The difficulties, he suggests are largely centred on a reluctance of officials, including the police, to monitor the system and take action. When discussing the situation with a neighbour he was told that if motorists are prevented from parking on the pavements this will greatly inconvenience them, and by leaving their cars on the roadside they would significantly impede the flow of traffic. It would appear that even when the authorities respond to the campaigns of groups such as the Disability Rights Alliance, this has minimal impact upon the accessibility of the streets. My friend in Chennai is a man in his late eighties who is not very stable on his feet, and one of the most telling paragraphs in his email reads as follows. Progress for discriminated people invariably comes in small increments. We should always applaud the work of officials and those in positions of influence who support policies aimed at making the lives of others easier. However, I suspect that there will be many more initiatives such as this in Chennai, and elsewhere in India, that will flounder until such time as those with the power to manage these situations demonstrate the courage to see them through. One man leading the way – will others follow? 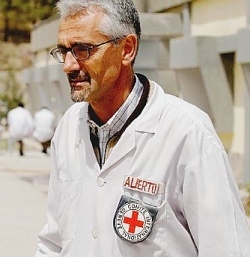 Alberto Cairo, a brave Italian with a big heart, serving the people of Afghanistan. If Afghanistan is ever mentioned during conversation here in England, it is almost invariably discussed in relation to the series of tragic wars that have blighted the country now for many years. Generally regarded as a failed state, one of those countries to which travel is most definitely not advised by the British Foreign Office (and the equivalent in many other countries), and a place where equality of opportunities appears very low on the national agenda. Never having visited Afghanistan I am not qualified to comment in any informed manner on the country, other than to make observations on what I have read or gained second hand from those who have been there. One of my brothers in law spent some time there with the British army and spoke with great affection for the people he met and the hospitality that he received from many of the local inhabitants. Similarly, a colleague recalls passing through Afghanistan on his way to a region of the Himalayas in the late 1960’s and was also treated with kindness and courtesy wherever he went. How sad then that it is now a country regarded in such negative terms. An article in the Guardian newspaper colour supplement this weekend, written by Emma Graham-Harrison, reported how a number of foreign nationals have settled in Afghanistan and have come to regard it as their home. Despite the ravages of war and the inequalities that clearly create difficult living conditions in much of the country, these stoical individuals feel a commitment to Afghanistan, and more particularly to its people. Having initially worked exclusively with the casualties of war, Alberto Cairo now provides support to anyone who comes to his clinic. His current clients still number amongst them the victims of conflict, but are equally likely to be those who have been injured in car or industrial accidents or as a result of genetic disorders or difficult home births. He works incredibly long hours and often with minimal resources, yet he is totally committed and positive about his work. Within the Guardian article one particular paragraph stood out for me. Alberto Cairo states that within Afghanistan life for disabled people is made harder because, whilst they are not rejected, they are subject to pity, rather than seen as having rights. This assertion, more than any other in the article made me think about the situation for disabled individuals in countries that have been so brutally used by warring factions for so long. Pity is usually reserved for the helpless, those whose situations are beyond hope. Fortunately Alberto does not see the condition of these individuals in this way. With much of the country’s infrastructure destroyed, the national economy in melt-down and many of the population still living in terror, how does the government of Afghanistan determine its priorities? In Alberto Cairo the country has an individual who has established wheelchair basketball, introduced therapeutic programmes and dedicated his life to the improvement of others. Increasingly in poorer communities around the globe these kinds of initiatives are dependent upon the work and determination of individuals such as these. Whilst governments are so focused upon increasing the economic stability of their countries, there is always a danger that the most vulnerable members get left behind. It is to be hoped that the people of Afghanistan experience a time of peace that has eluded them for so long, and that they will be able to make progress towards achieving a more stable and secure society. History appears to be against them, but there are many talented people in the country who given the chance can certainly make a difference. Sadly, the people with whom Alberto Cairo works are likely to remain very low on the list of national priorities until other issues are confronted and resolved. Thank goodness I say, for the professional dedication and compassionate example of people like Alberto Cairo and the countless others who are prepared to live in such difficult circumstances and put the needs of others before their own. Newsworthy? Yes, but for how much longer? Nordstrom have pioneered the way for models with disabilities, but why should this seem remarkable today? Sometimes items that are deemed newsworthy by the media raise questions in my mind. This week the UK government underwent a cabinet reshuffle, through which the Prime Minister, David Cameron, appointed a number of new ministers whilst releasing others from their duties. This is an event which happens during the life of all governments and is inevitably followed by days of speculation about why some politicians have been raised in status, whilst others have been demoted. We are also subjected to debates around whether movement from one position, such as Secretary of State for Education to Chief Whip, is actually a demotion or simply a new opportunity for the outgoing minister. This week’s reshuffle was particularly notable for the discussion surrounding the promotion of a number of female politicians to key posts. This we are told, enables the creation of a cabinet that more fairly represents the population of the country. We should, of course, congratulate all of those who have been elevated to positions of responsibility in government, and we certainly hope that they will do a good job in governing the country. However, I do not think that I am alone in being concerned that in the twenty first century it is still considered newsworthy when women are appointed to positions of power and responsibility. There was I feel, a certain irony in the announcement that women are being appointed to government positions on the date that would have been the 156th birthday of Emmeline Pankhurst, that most doughty fighter for the right of women to vote for their elected representatives. Is it not remarkable that so long after the sacrifices made by Emmeline Pankhurst and other suffragettes the appointment of women to the cabinet is still seen as newsworthy? What does this tell us about the state of equality issues in today’s society. On the same day as this parliamentary shuffling of the pack took place my attention was drawn to another news item commending the leadership of a fashion and design company called Nordstrom who since 1991 have been employing disabled models to sell their various items of clothing and accessories. Those of you who know me will not be surprised to know that the world of fashion and designer clothes has not featured highly in my purview of the world. Indeed one of my colleagues once described my general appearance as “comfortably dishevelled” (I’m not entirely convinced that this was intended as a compliment!). Just as with the appointment of women to position of political influence, the newsworthiness of an item about disabled models caused me to reflect on why newspapers are reporting in this way. I certainly applaud any organisation that has a policy of equal opportunities in employment and believe that we should welcome the fact that sectors of our society, who have previously been excluded and marginalised, are now achieving positions of influence. However, I am sure I cannot be alone in thinking that it is sad that we still feel the need to draw attention to what is obviously seen by the media as remarkable progress, even today. I suspect that what these news items tell us is that we still have some distance to travel, until it ceases to be remarkable that women, people with disabilities or those from ethnic minority groups achieve positions of prominence in our communities. It is certainly good that children in schools have role models in positions to which they may aspire. However, it is only when this situation ceases to attract the attention of the media, that we will recognise that genuine progress has been made in ensuring that individuals from all sections of society have been included as full citizens in our countries.